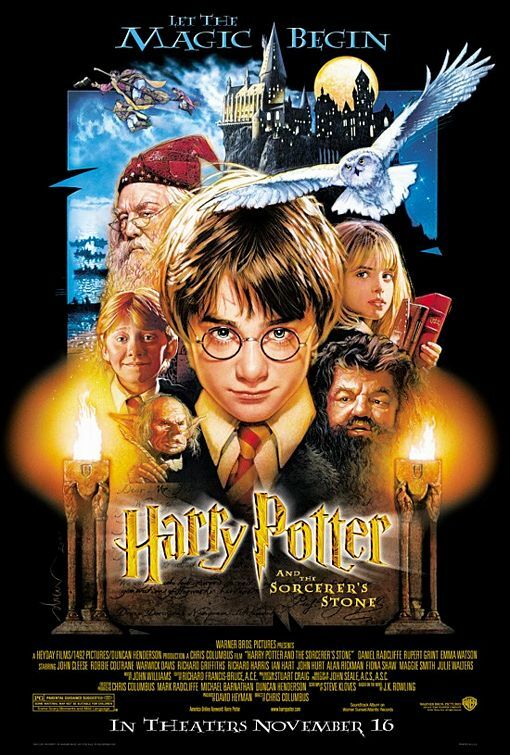 When Isabel saw Harry Potter and the Sorcerer’s Stone in theaters with her parents, she was in awe. The movie had brought her favorite characters to life. There they were, right in front of her. All she wanted to do was to jump into the screen and transform into a Hogwarts student. She wanted to walk the grounds of Hogwarts and have conversations with her fellow witches and wizards. She wanted to go to the classes and learn all sorts of things about magic and the magical world. She wanted to play quidditch, and feel the thrill of flying through the air on a broomstick. She wanted to eat the wondrous feasts that were prepared for the students in the Great Hall. Seeing the beginning of Harry’s journey come alive was paradise for Isabel. She gasped when Voldemort was revealed. She had thought about what he would look like, and he was as scary as she imagined. 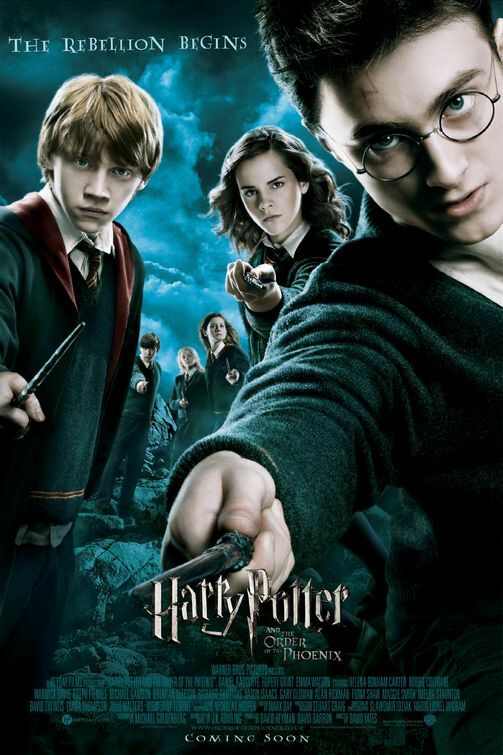 Isabel saw Harry Potter and the Chamber of Secrets with her grandmother at the cinemas in the Providence Mall. The big screen, which was larger than average, made the visual experience even more grand. 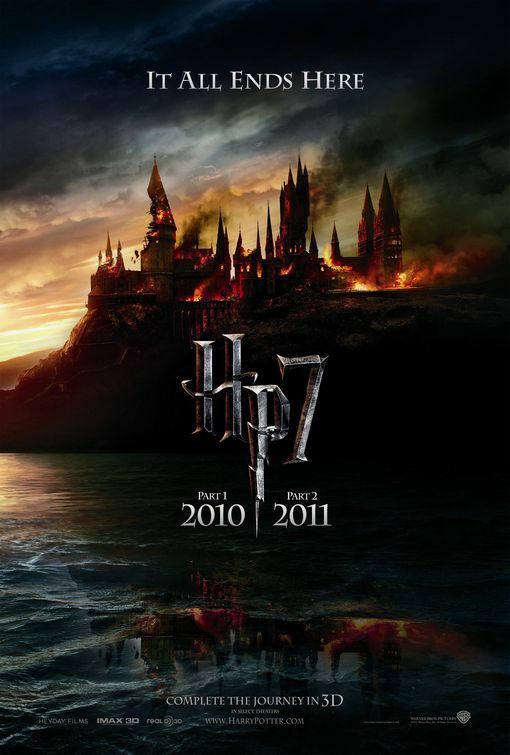 However, she was dissapointed, just like she was when reading the book, that Hermione wasn’t in this one as much. Hermione was Isabel’s favorite character. She related to her and her nerdiness. The actress who played Hermione Granger, Emma Watson, became Isabel’s favorite actress. To this day, Isabel continues to look up to her as a role model. When Isabel went to see Harry Potter and the Goblet of Fire, it was a special circumstance. When the movie came out, she was in sixth grade. As a field trip, the whole entire sixth grade went to go see the movie. 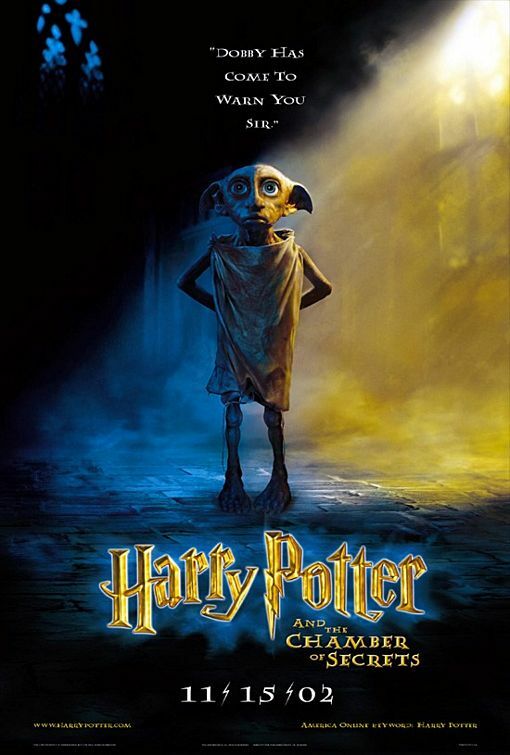 One of the greatest cinematic reveals occured in this movie…the ressurection of Lord Voldemort. Harry Potter had gone to a whole new level. 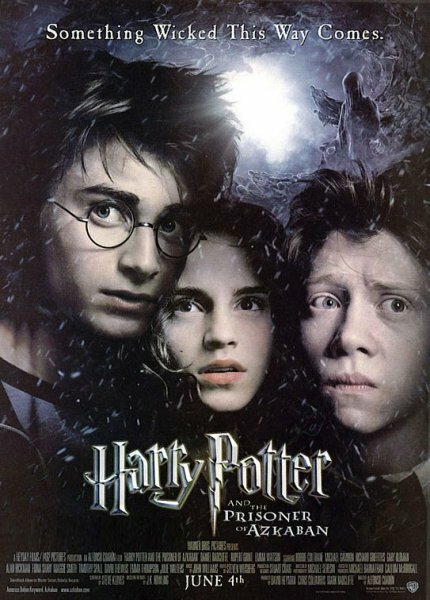 Now, it is known that tween Isabel already knew everything that was going to happen in the movie–her mom always told her, “You have to read the book before you see the movie!” Isabel was ahead of the game when it came to Harry Potter. But even so, when Isabel saw the movie, she knew that it was her favorite of all the movies so far. It was a warm summer night in July when Isabel went to see Harry Potter and the Order of the Phoenix at midnight It was her first time ever seeing a Harry Potter movie at midnight, and Isabel was extremely excited. She attended the event with her friend Megan and her parents, arriving at the movie theaters at six o’clock. They were third in line. What made this experience even more exhilerating was that in two weeks time, the final Harry Potter book was going to be released. As she was waiting in line, playing Harry Potter Uno (naturally), a news reporter came up to the line of people. She was here interviewing attendees what they thought was going to happen in the last book. Isabel was one of the interviewed attendees. She was asked the question above, and she answered with this: “I think Harry is going to die. He is a horcrux, because Voldemort accidentally made him into one and Dumbledore’s been hinting on it in the other books. So the only way to kill Voldemort is if Harry, Ron, and Hermione destroy all the horcruxes. I think either Ron or Hermione is going to have to kill Harry. I know it’s sad to say it, but that’s the only way they’d be able to defeat Voldemort. And they will.” Isabel’s prediction was almost true. The interview, which is not online, can only be found on a video tape her friend’s grandmother had taped. This moment was one of the most thrilling Harry Potter moments Isabel had been in. The wait inside the theater was equally as thrilling. People were dressed to the max. 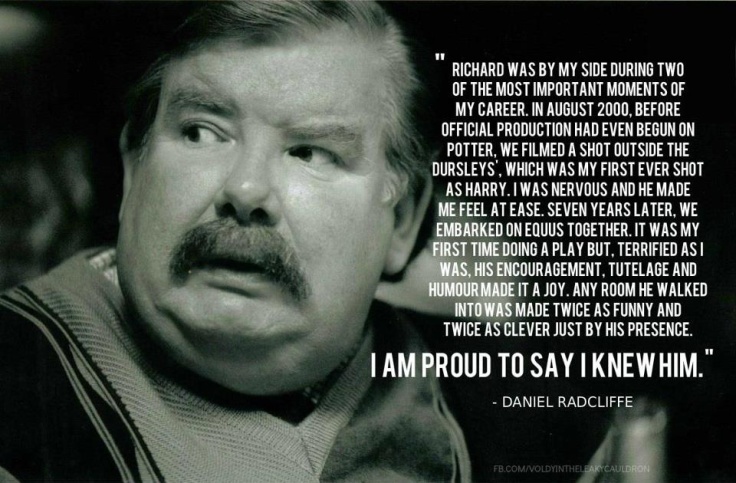 There was Hagrid, Hermione, Harry, Ron, Bellatrix, and many more characters. Isabel believed that the midnight showings for a Harry Potter movie were for TRUE fans. As in, they have actually read the books. If you are someone who has only seen the movies, and attends a midnight release, you just ruin it because you will definitely not have the same reactions as ones who have read the books. 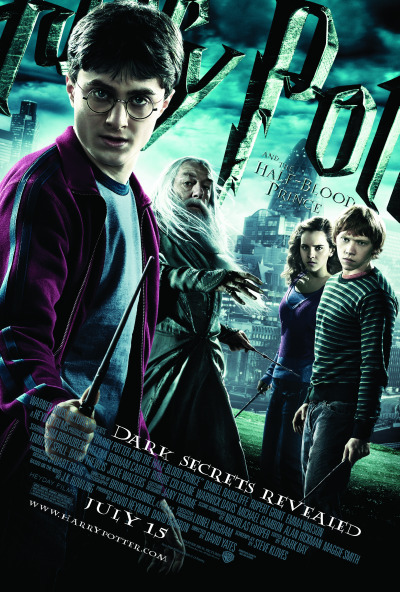 On to the sixth movie, Harry Potter and the Half-Blood Prince! This movie’s midnight showing emphasized Isabel’s dedication. You see, Isabel was in Italy. She had gone there for two and a half weeks by herself to visit her family, and she was coming back the day before the movie’s release–or, the day she was going to the midnight showing. Like she does before all the movies come out, Isabel re-read all the Harry Potter books up to that point. All Isabel did on the flight home was read and sleep. She was determined to finish the book. Her flight came into Boston around 1pm. Isabel’s dad and sisters were there to pick her up, and they left immediately. They stopped at Friendly’s on the way home because Isabel hadn’t eaten since she before she had left Italy. You see, Isabel hated airplane food. The taste, even the smell, made her nauseous. So by the time they left Friendly’s, it was about 4pm. Her dad raced home, because as soon as she got home, she was quickly getting things together to go to Megan’s, and then immediately go to the theaters. Luckily, she got to her friend’s house around 5:30pm, and was at the theater by 6:30pm. Again, they were one of the first few people there. However, while they were waiting to be let in, Isabel couldn’t be distracted, because she only had about 100 pages left in the sixth book. Long story short, she was able to finish the book (50 points to Gryffindor! ), and the movie experience was spectacular as always. The penultimate movie experience was a sad one. 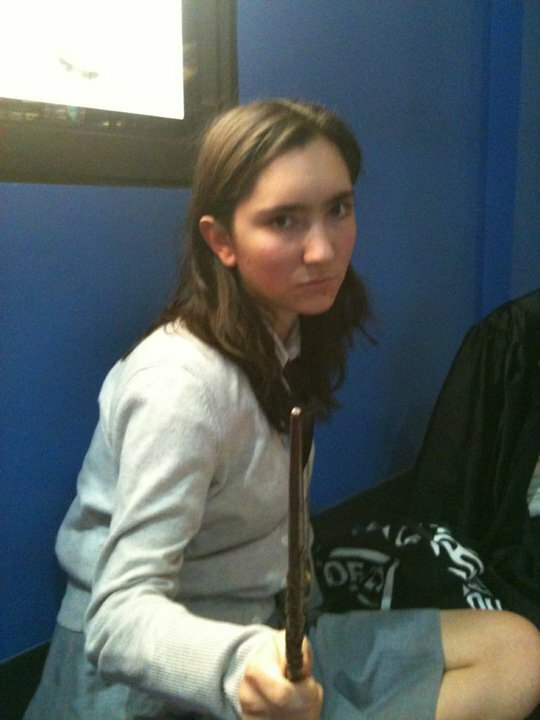 This was Isabel’s last Harry Potter midnight premiere. You may be confused, because there was still one more movie that was coming out the following year. But yet, it was Isabel’s last Harry Potter midnight premiere. The reason? She would be in Greece when the final movie came out. She was excited to go to Greece, but she was still sad she wouldn’t be able to experience the final Harry Potter movie the way she had been for the past few movies. So she decided to go all out for Harry Potter and the Deathly Hallows: Part 1. She dressed up as Hermione Granger, her absolute favorite character. She took pictures so she would remember it forever. And when she saw the movie, she cried. A lot. Not only because of the deaths in the movie, but also because of this whole experience. She knew she would never experience something like this ever again. Nothing could ever be equivalent to a Harry Potter midnight showing. Nothing. So how did Isabel see the final movie? She was coming back the day after it was opening in the U.S. She HAD to see it opening day. But she couldn’t. She was in Greece on a school field trip. But then a miracle happened, delivered straight from Dumbledore in Wizard Heaven. 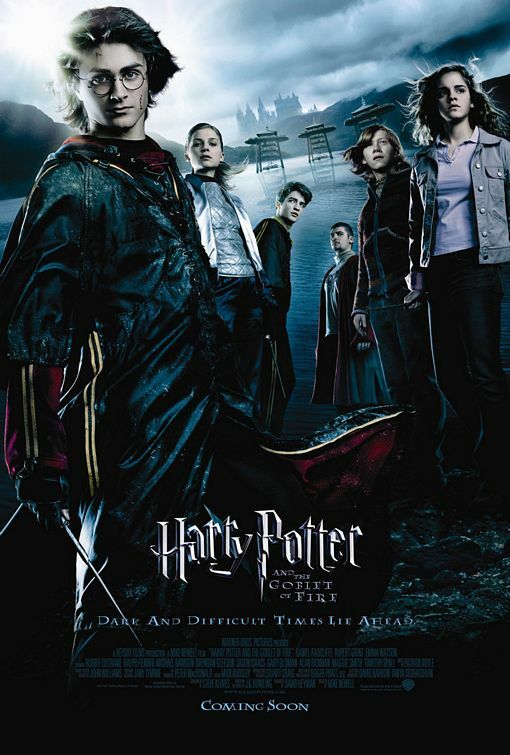 Harry Potter and the Deathly Hallows: Part 2 was opening in Greece before it was opening in the U.S. The last day they were in Athens, Isabel and her friends scrambled around the section of the city they were in, asking restaurant waiters and shop owners if there was a movie theater nearby, and if it had the movie in English. When she and her friends were eating at the Hard Rock Cafe, they found out that what they were looking for was real. There was a movie theater only two blocks away from the hotel everyone was staying at. And they were playing the movie in English with Greek subtitles. There was more scrambling as they asked if people would be interested in going to see the last Harry Potter movie with them. Many were (there were about 100 students on the trip). People wanted to go, but there was one person they had to get the all clear from. Ms. Mason. She was the leader of the trip, and without her permission, Isabel and her friends’ desperate attempts to see the movie would go kerplunk. Early in the afternoon, they all went to Poseidon’s Temple. There, they gathered the courage to ask her if they would be able to organize an outing for the students to go see the movie. They told her the movie time, and that many people were interested. However, she would only let them and other students go if they gave her a list of all the students going so everyone would be accounted for. Also, they had to be back to the hotel within a half hour after the movie ended. So this is how it went down. There were two busses carrying the students. Isabel took down a list of names of people that wanted to go on her bus, and one of her friends collected the money from those people. On the other bus, Isabel’s friend Sarah did the same thing. Suddenly, disaster struck. Isabel’s bus had left on its way back to the hotel, but the other bus broke down with a flat tire. Were the other people going to make it? No one knew. They had to go buy the tickets, and they were hoping the other bus would get there in time to buy theirs. Isabel and her friends went to go buy the tickets for the people on her list, and just as they got back, they were notified that the other bus had finally made it back. Sarah and a few others were on their way to get their tickets. Once everyone was back, they gave the lists to Ms. Mason. Everyone ate quickly and the mob of Americans (about half of the people on the trip) began their way to the theater. They took a group picture in front of the giant Harry Potter poster. They filed into the movie theater, where they took up most of the space. The movie started…and then…THERE WAS AN INTERMISSION. WHAT?! The Americans were astounded. Some had heart attacks. Some yelled out comments. One that was particularly funny to Isabel and others was: “I didn’t know Harry Potter went to the disco!” The comment had been funny because the “intermission” was in bright neon coloring like it was from the seventies. Isabel was sobbing because the intermission had come right after Snape died, and there being an intermission just made her sob even more. Her friend Jess had to give her tissues. The Americans were going hysterical while the few Greeks in the theater were just casually walking out to get snacks like it was no big deal. It was a big deal for the Americans. Ten minutes later, the movie continued, and everything calmed down. And once the movie ended, Isabel was just quiet. Quiet and softly crying. It was over. Harry Potter was over.